First, let's get some things out of the way: I have been using Windows since 3.1, and with the exception of the first 98, Me and the NT variations before 4.1, used them all extensively. Even Vista was good for something (tablets, actually). Other than this, I have been using Windows-based tablets since before most people had any idea tablets existed. It landed me my first "real" job, (tech reviewer and journalist) so, yeah, I do actually know what I'm talking about when I talk about regarding Windows and tablets. 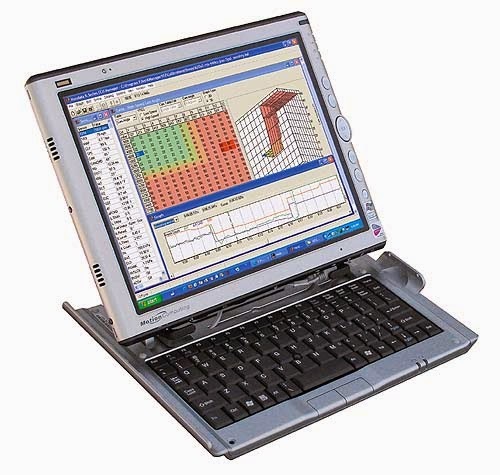 Motion Computing M1400: an industrial "dockable" Windows penabled tablet that had such a weak CPU it didn't need any active cooling. The SP2 has some good sides: the metal shell is still a great thing to have, not only because it looks great, but because it helps the tablet stay cool and literally silent while you work. The display is great in terms of colour, although it was not calibrated, and the blessing of resolution turned into a curse in many ways. I liked that it's thin and looks quite elegant and thin, but I'm not in a relentless pursuit of wafer-thin PCs: it is a nice thing to have, but in terms of priority, it comes after everything else, like battery life, CPU power and cooling. Luckily, the SP2 was designed to cope with these issues. I was satisfied with the battery, but that is I guess because I mostly used it off the mains, as an office PC. The 1-year skype unlimited offer was also useful, and I'm sure someone found the 1-year 200 GB extra OneDrive space great too. I generally don't use Microsoft online stuff, due to what I regard as an irresponsibly insufficient security on their part. 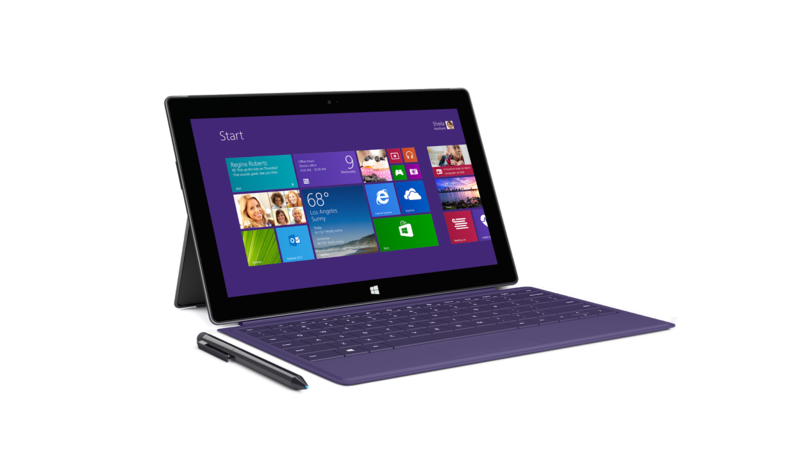 The Surface Pro 2 is missing some quite key elements that were there on Windows-based tablets and PCs for a reason. It doesn't have any activity LEDs, so you can never be quite sure if it is actually turned off, or e.g. if your memory is full and it is swapping heavily. (Yes, it is still a thing even with an SSD. The one in the SP2 is not that fast.) The PSU cable has an LED on one side that signals being plugged in / charging, but as you are likely to put it in upside-down (so you can use the mini-DP video out), you won't see it. While we are at the point of what older tablets did better, the buttons: all my old tablets had physical buttons, which were customizable. 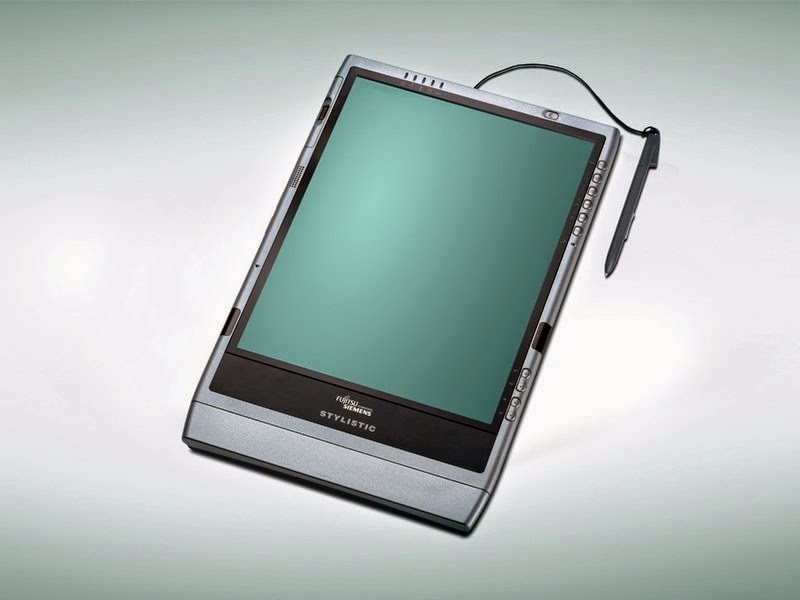 It was great to have one for turning off the screen and it would have been great to have one on the SP2 for disabling touch for when I would use the pen to take notes with my hand resting on the glass. With the touch always enabled, if you raise the pen too high, your palm interferes with the experience, so to say. I did try to use it as a tablet for reading books, but for that, the "thin and light" SP2 is just too heavy. If you can sit down in a way that the tablet is supported by furniture, it works great. If you can't, forget it. There are things that were good ideas, but ultimately have some problems. The magnetic PSU cable is such a thing: instead of being worry-free, you'll have to check it every time, because it has a tendency to not attach properly. While it did save my SP2 on one occasion, on another, it didn't help at all: it got caught on the edges and almost dragged the SP2 to oblivion. I wish they had put the webcam somewhat off-center, or higher as as it is, if you have to swipe down with your fingers, you have to be mindful not to smudge it. The secondary webcam on the back is angled, which means it would be OK to use at one of the leg settings. But frankly, have you ever met someone who used the back camera on a table while it is on the table? I certainly haven't, and the angled construction means if I have it in my hands, I must angle it awkwardly down to have a vertical shot. Not that I think you should ever use your tablet to take video/photos except for emergencies. Every good penabled tablet has a slot for the pen. SP2 does not. Officially, you should use the magnet in the PSU connector, but that is just a sure way to lose your pen if you bruise against something or someone on the way. Also, you can't charge your tablet with it there. A problem MS at least constantly tried fixing was the limited functionality of the leg latch: the SP1 had one step, my SP2 had two, and AFAIK the SP3 has numerous. To give you an idea of how bad it was: I had a small AA battery container under the latch at all times in the office to prop it up to a better angle. Here is another idea completely missed: portrait mode, for those of us who would read books that way. Especially since the weight means you'll get tired just holding it with your hand. Construction is generally A+, but not perfect: my SP2 has a wonky corner where I can push the glass in by about 1-2 mm lightly with just my finger. Which means the glue job was not done properly around the display. That's just not something you want to experience on a €1200 machine. The GPU drivers: MS thought it a great idea to masquerade the integrated Intel GPU as "Microsoft Graphics", so the official Intel drivers won't install without going through a back door. Plus, they added some insanely automatic "adaptive" brightness, (changing brightness depending on what's on-screen) that you just cannot turn off completely. You can turn a very small measure of it off with the MS drivers, most of it with the Intel, but you just can't disable it entirely. The scaling: The fullHD resolution screen is great for reading books / comics, less so for generic Windows tasks: to put it bluntly, Windows does not handle scaling, except the new Metro apps, which are still in their infancy. It would have been better to stick with either a lower resolution screen (~720p would have looked OK-ish) or a bigger resolution that you could set to 720p without the loss of clarity (e.g. : doubling to 1440p) due to resampling. The latter would be the better option in my mind, as you could use the full resolution when you need it (e.g. : films, photos, etc). Windows 8: Officially my most hated Windows now, replacing Millennium Edition. The most damning things are no start menu (I had to use a 3rd party software for that) and control panel functionality ripped in two, accessible in two places and not under one interface. But these are the moves that define Windows 8, so it's good as dead for me. I know only one person who liked it, and that person moved off to OSX as his dev machine. Windows 8 still going strong: You might think of Metro as a secondary desktop, but it is just so basic. I mean, you can't even drag&drop stuff from your search results to it, which would be a very basic functionality. But it lacks that as well. Bluetooth: I'm not sure if this is a problem of Windows 8.1, the Bluetooth driver or the hardware receiver itself, but it has happened on numerous occasions that I had to repeatedly restart the SP2 to finally remove a BT paired device. Plus, occasionally, on a wake from sleep, it would not reconnect to my keyboard for no apparent reason. Note that this was only from wake from sleep, hibernation worked perfectly. The pen and the digitizer: This is the thing that detects your pen. Unfortunately, this is either the worst quality warped digitizer they could find, or they simply screwed the manufacturing up completely. You can't draw straight lines, the pen auto-clicks in places, jumps around in others, while in a corner, it just won't go to the edge. It uses Wacom technology, but I've never met with a realization so bad from any manufacturer. I know, I've had more than a few in my hands. One of the partial solutions was to up the 8-point calibration to 250+ (!) points, but you really can't fix something so terribly broken in the hardware itself. For the auto-clicking, changing to another pen will work wonders: I used my 10-year-old pen that I used for my Motion Computing M1400 (a 2004 Windows tablet), and it largely solved that issue. When a 10-year-old pen works better than a brand new one, you just start to wonder how could they screw up so badly. Well, at least it wasn't one of the N-trig pens with the batteries inside, which also weigh a lot. These weren't problems with just my SP2: if you google around, all are widely known issues, and they are not impossible to fix. Other manufacturers managed to do just right. The touch cover might have sounded like a good idea, but it is an absolute nightmare to write anything on. The type cover is better, but it has so little spacing between the buttons that blind-typing is very hard if not impossible. It is missing some quite essential buttons, (ins, print screen, scroll lock, pause/break, and the usual fn-enabled virtual numpad) at least for power users. Also, it has an insanely high price, (costing more than my top-of-the-line Logitech K800 Wireless Illuminated desktop keyboard) and neither this, nor the touch cover is included in the price, which is ridiculous for any type of Windows machine. That's like selling a new car without the tires or steering column. While we are at the price point, yes, the SP2 is massively overpriced for its faults. The USB: there is only one, singular USB port. Granted, at least it is a 3.0, but whoever decided it's OK to go with one should be severely reprimanded, then fired. Basically, this means carrying a USB hub is mandatory. If you use an external drive, then it must be an externally powered one, with a separate power brick, as the port cannot even sustain the power for a hub, a miniature unifying receiver for keyboard/mouse and a 2.5" HDD in an enclosure. So, what now? People who know me know I simply don't want to pay Apple any money. While I acknowledged the accomplishments of Jobs, as a human being, I was abhorred of him and some of his technical ideas, like his crusade of "think different, but only if you think different in the way I want you to". As many others, I also think that their most of their stuff is somewhat over-priced. But the Surface 2 + Windows 8 combo is so bad, and the market is so insanely bare for Notebooks / x86 tablets that right now, I'm thinking if I ever have to use the SP2 for extended periods, I'd be much better off buying a 13" Macbook Pro retina and installing Windows 7 on it. And I really, really don't like Apple.